This is the cutest Valentine’s Day craft I have seen so far. What a great idea! Love your hack to save a little money and make it so your own. Got to think outside the box (shadow box or otherwise) to save a little on crafting. I actually tried a similar craft with my little one. This one looks quite a bot more quality though. What a cute and crafty idea! I just love seeing all the stuff people come up with for Valentine’s Day. This looks like a great project for this time of year. I think shadow boxes are really cool. I absolutely love this idea! Such a great Valentine’s Day gift for all ages and stages and a keepsake that anyone would treasure for years to come! 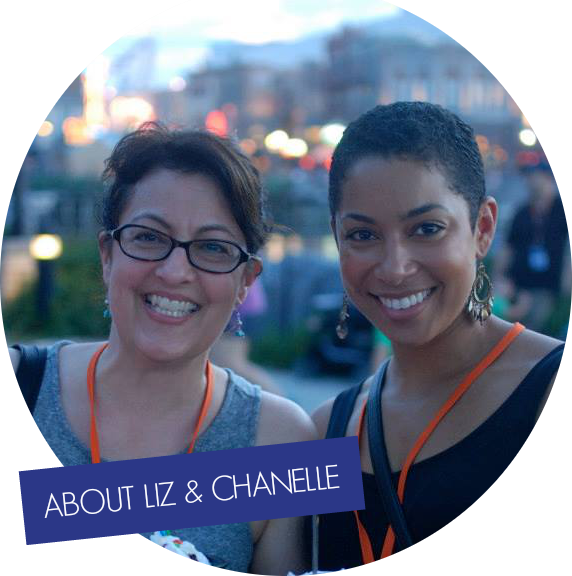 Thanks for sharing your crafty goodness! What a great idea! I love the hearts! I love this idea! So cute and makes a great gift and decor! Definitely trying this! That is fun, and super easy to make too. 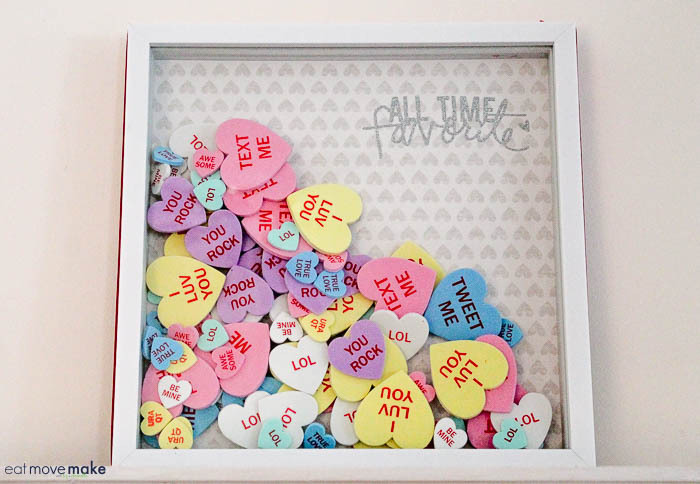 I like them both, but with kids in the house, the conversation hearts are my instant fave! Such a pretty idea! I love that it is quick and easy and yet makes a beautiful statement. What a fun idea! I don’t have many Valentine’s decorations so this would be a perfect one to make. I’d add it to my mantle. This is so cute, and so happy! It makes me smile! I would love to receive this and making it would be fun too! Absolutely lovely! 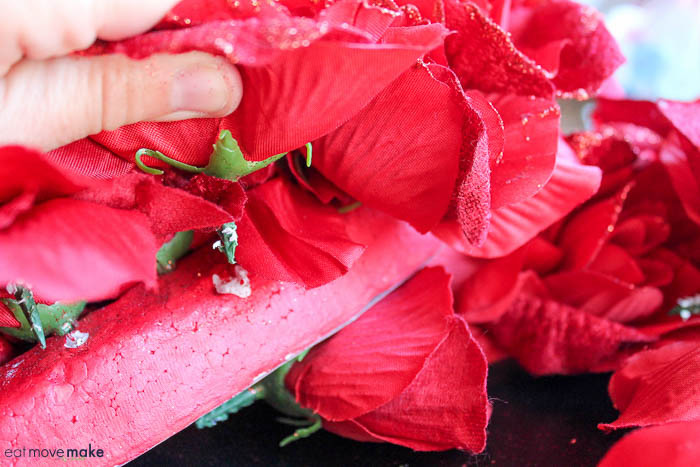 I really like this Valentine’s day craft! I will try my best to make one myself, and place some of those little items I got from my travels abroad. What a nice way to put them on display! I have always wanted to do a shadow box. I didn’t consider making one for Valentine’s Day. These are cute. They would look great in my living room. 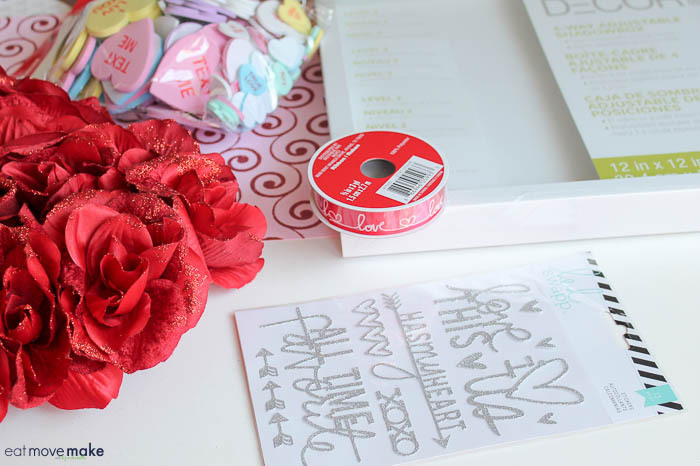 I love this craft for Valentines day. I can think of a few fun ways to do this. I will have to get the supplies I need this week. This is a fantastic gift idea. 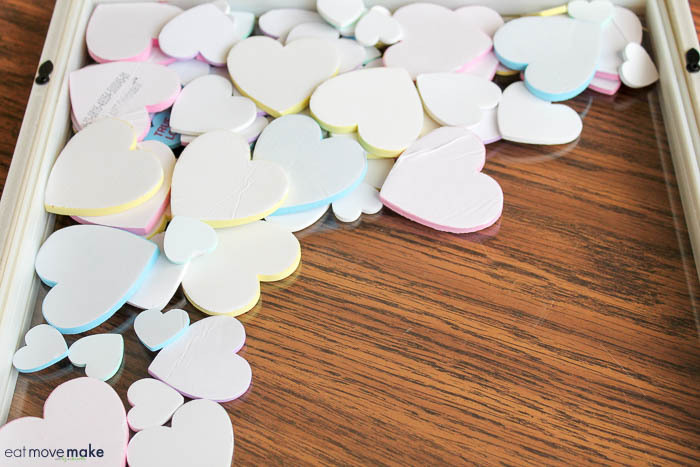 It would be fun to personalize the hearts. I will have to do this on the weekend. 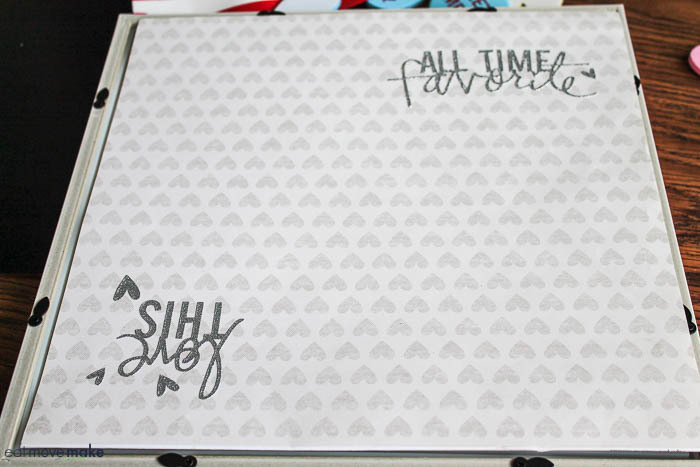 This shadow box is super cool! I love the effect the petals provide. I would like to make one with some of my wedding or dating memorabilia inside. This shadow box is super cool! I love the effect the petals provide. I would like to make one with some of my wedding or dating memorabilia. What a sweet decor idea! I really like the different customization options, and I could easily include a photo of my children inside as well. That is such a cute idea. My daughter would have fun with this. What a cute decoration for Valentine’s Day. I like that you can switch out the petals for the hearts and vice versa. 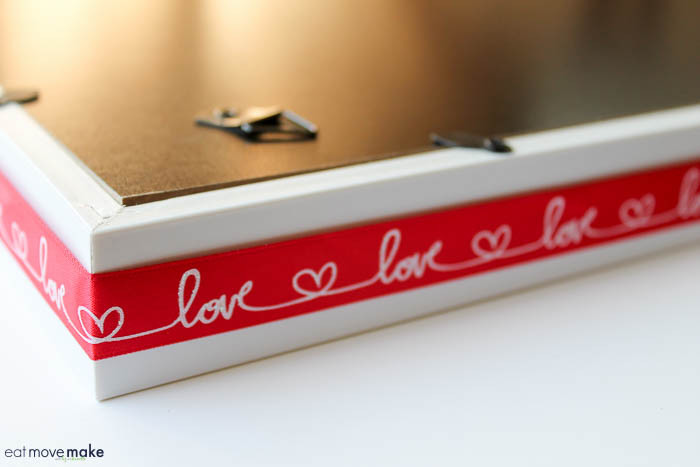 This would be an adorable teacher’s gift for Valentine’s Day. Lovely idea. There are so many possibilities with this. I would love to make different versions for different people with the same theme in mind. 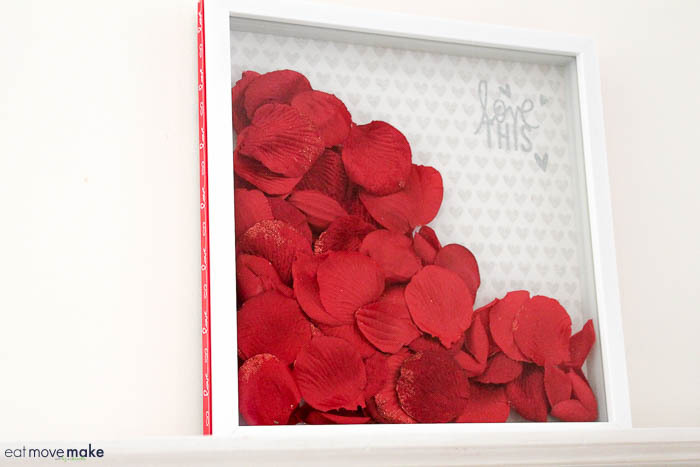 I love shadow boxes and have never made one quite like this. It would be so cute at a party for decor. This is so cute and I would love to have this in my home as a decoration for the Valentine’s day season. Looks great! What a cute idea for valentine’s day!!! You really could fill it with just about anything and have it look super cute. I love shadow boxes! They’re so much fun to create 3D displays in for every season. This is a super cute idea. I like the one with the hearts the best. Oh that turned out really well! I would love to do something like this with the girls… what a special keepsake this would make. That’s so cute! And who knew it would be so easy to create. Thanks for sharing!! These look so fun! I would love to do this for my dining room! That is adorable! That would be a fun thing to do even with my son. I think he would love to give something like that to his teacher. This is so cute and versatile. I love that it has two separate and distinct looks. What a wonderful idea! I like that you can make this whatever you want – put in your own unique items and add some flair! Great project! I love how yours turned out! That turned out so cute! I think I have a deep frame around here somewhere – I could do that so easily! What a pretty idea for holiday decor! I never thought to make something like this! I think this might be the cutest Valentine’s Day craft I’ve ever seen. I really love the look of this! Great job.